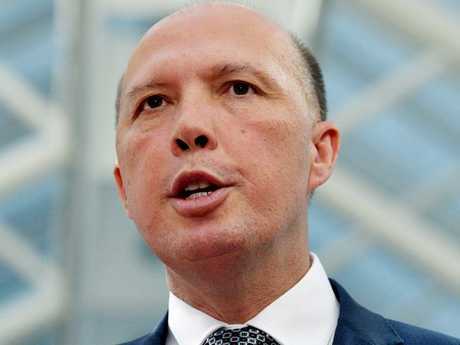 FOREIGN Minister Julie Bishop has denied white South African farmers will be given special treatment after comments from Peter Dutton were labelled "racist". 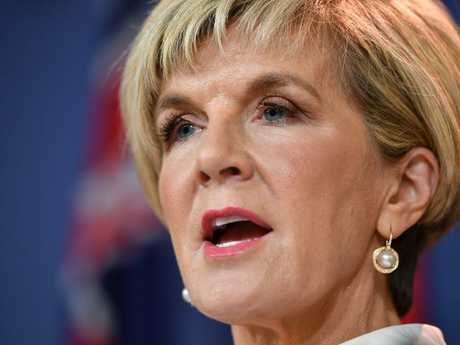 Ms Bishop has clarified where the Turnbull Government stands on Australia's humanitarian visa program, while attempting to quell South Africa's offence at Mr Dutton's suggestion the country is in dire straits. "Australia does monitor the rate of violent crime in South Africa, and there has been a dramatic increase in recent years," she told Barry Cassidy on ABC's Insiders this morning. 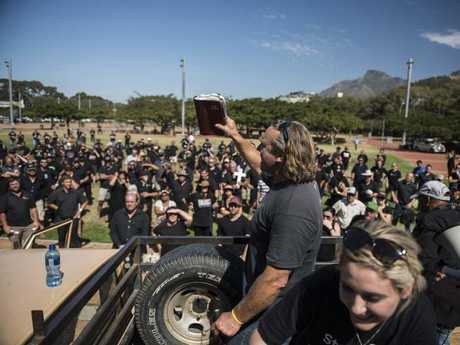 "Last year there were about 19,000 murders in South Africa, and that's a very high number for a country of that size." 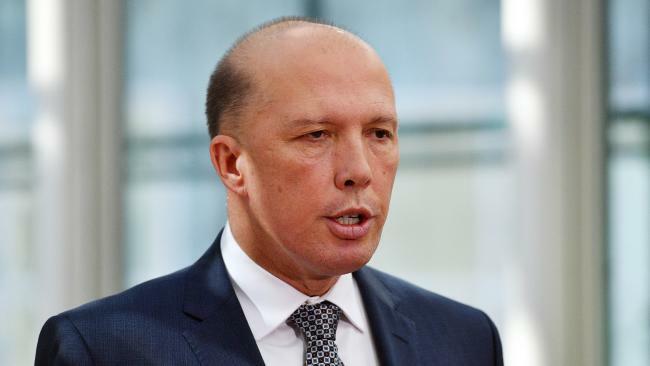 Home Affairs Minister Mr Dutton was labelled a racist this week, when he sparked controversy by singling out South African farmers' need to flee "horrific circumstances" for a "civilised country" like Australia. With concerns growing about the humanitarian visa program being altered to fast-track 'white' South African farmers who fear for their safety in South Africa, Ms Bishop clarified the government's position. "I believe the humanitarian programs credibility comes from the fact that it is non-discriminatory and that each application is assessed on its merits," she said. "That's been the case under the Turnbull Government, and as far as I'm aware, there are no plans to change that visa program." She confirmed that Australia's High Commissioner in South Africa was holding talks with the South African Government in Pretoria, to clarify the basis of the visa program and to understand what their intentions are with land reforms that the South African Government is implementing. "We want to ensure that those land reforms don't lead to tensions or indeed violence, and so we have made our concerns known to the South African Government in relation to land reforms more generally." Mr Dutton's decision to examine whether the South African farmers deserve "special attention" for acceptance on refugee or humanitarian grounds led to South Africa demanding talks with the High Commissioner this week..
Foreign ministry spokesman Ndivhuwo Mabaya insisted in a statement that Mr Dutton retract the comments, saying their government was offended. Australian Prime Minister Malcolm Turnbull stopped short of defending his minister when pressed Friday, insisting what Ms Bishop has also said, that Australia had a non-discriminatory humanitarian program. "We have migrants to Australia from every part of the world ... and we have a refugee program that is non-discriminatory," he said. Mr Dutton, who has drawn criticism in the past for cracking down on asylum-seekers from Asia and the Middle East, was called "an out-and-out racist" by Greens leader Richard di Natale. He suggested the stance on South African farmers signalled a return to the "White Australia" policy, referring to laws in place for seven decades from 1901 that prevented non-white immigrants settling Down Under. "There's no debate as far as I'm concerned, the bloke is an out-and-out racist," he told reporters. "According to Peter Dutton, if you're a white South African farmer you are going to make a great contribution, you're not going to bludge on welfare. But if you're not white, you won't do any of those things," he continued. Paul Murray: Remember the fake tradie?